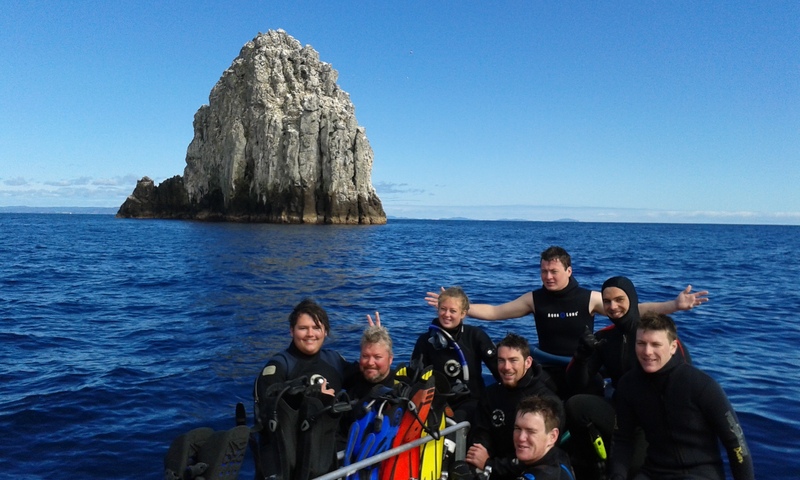 Our new dive boat, Whakaari Express, made 3 trips to the Poor Knights Islands this month. 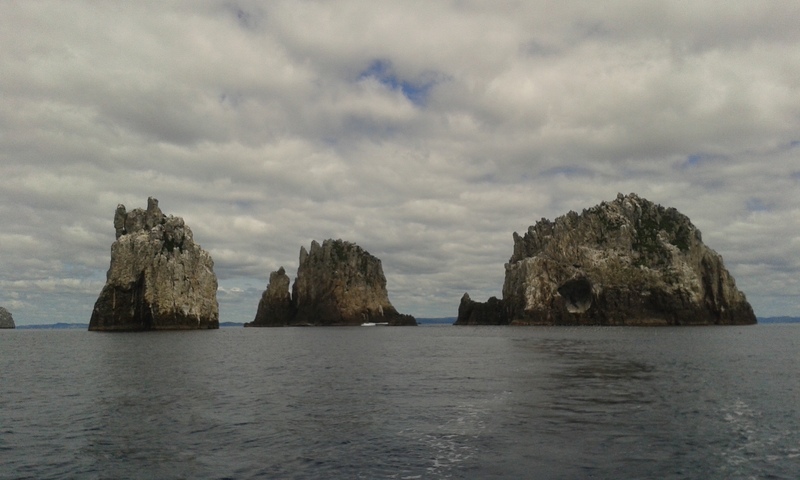 As Whakaari Express cruises at 50km we made it out to the Islands in 20 minutes from Tutukaka Marine. That left us plenty of time to dive, tikky tour around the islands and get back to the marine by 2pm. Because of our speed, we are looking at being the only operator to offer 3 dive days to the poor Knights…so stayed tuned! We made it to some of the top sites including Sugarloaf, The Pinnacles, Northern Arch and Middle Arch. 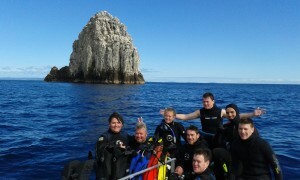 The crew after a dive at Sugarloaf. 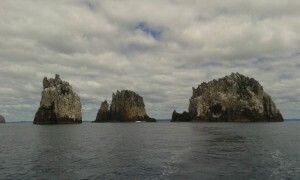 We are heading up to Tutukaka soon after New Years for an extended stay to dive the Poor Knights. Check out out TRIP SCHEDULE for dates and CONTACT US to book your space.